SEE MY LATEST PAINTINGS: you can see my new paintings on my blog page or just click here. Welcome to Mark Hierholzer's Web Site! • share the legacy of French Impressionism and the work of Henry Hensche, who developed and taught an approach to impressionist color that has inspired and transformed a generation of American artists. These resources and the instruction I provide are set up to be easily accessable and geared to individual needs and schedules. All materials can be provided. People need bring only their desire to paint and learn. Feel free to explore and enjoy this site and its resources. Please check Mark's Blog for news and updates! "I love oil painting and color!" For years oil painting was how I created breathing space and perspective in the midst of a busy life. Over time and with the help of many excellent artists and mentors, this precious activity began to produce things of beauty and delight I could share with others. Today, I have the opportunity to paint and teach as an artist, offering other people the opportunity to enjoy this same discovery and spaciousness. You can begin to enjoy the world of color and the adventure of learning impressionist oil painting today. I teach classes through a nonprofit called Art for The Journey. Classes are available at my studio in the West End of Richmond and at Art for The Journey's studio at Independence Golf Club in Midlothian. I also teach workshops at the Virginia Museum of Fine Arts and at other locations around Richmond, Eastern Virginia and Northeastern North Carolina. All materials are provided unless you choose to bring your own. All you need do is show up. I work with beginners who want to try their hand at oil painting and experienced painters who want to bring more color into their work. 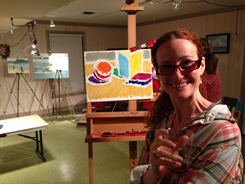 You can read more about my journey as a painter in my artist biography. Weekly classes are for two and a half hours. There is enough space for up to ten students with easels. 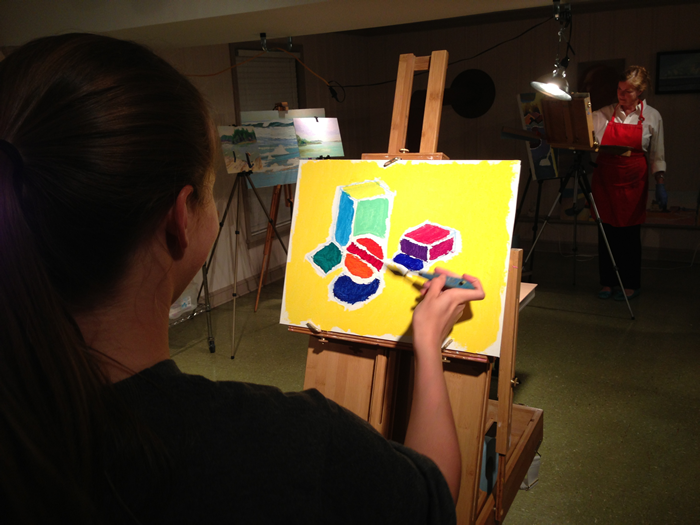 All materials, including paint, easel, canvas, pallet knife and brushes are provided along with refreshments. Monthly full day workshops are held in partnership with the Mattie Arts Center in Swan Quarter, NC. View the full calendar of classes here. Monday afternoon, 1:30 to 4 p.m. at Independence Golf Club. Tuesday evening, 6:30 to 9 p.m. at Mark's West End studio. 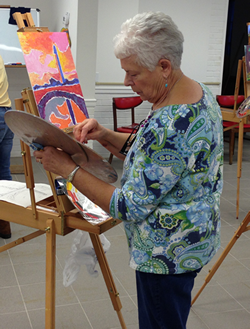 Third Saturday of each month is a plein air workshop at the Mattie Arts Center in Swan Quarter, NC from 9:30 a.m. until 4:30 p.m. Travel and accommodations can be arranged. Special Sessions arranged with students as available. Summer Camps for children. Learn more here. For those beginning with me, we begin with charcoal drawing and then focus on developing a color sense, exploring the color wheel and the way light affects color, painting simple block and ball studies using a technique drawn from French Impressionism and refined by the Cape Art School in Provincetown, MA. Then we focus on areas of particular interest, including portraiture, still life and landscape painting with brushes or palette knives. Full day workshops are held outdoors, weather permitting, and focus on painting in natural sunlight. Below is a brief summary of some of the informational pages for my students. Links to these and many other resources are provided on the Painting Resources page, which is a rich resource for all aspects of our approach to impressionist painting (see above in the navigation area). Students are encouraged to spend time to fully explore it. Feel free to email me for information. 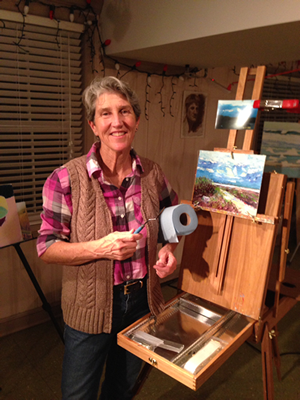 "In an effort to get out of my writing chair, I recently began taking an impressionist painting course with local artist, Mark Hierholzer. Each week I have joined two friends, and I have stood before a canvas, trying to paint light. Not color. Not scenes. Not objects. Light." — Karen Chase, Writer, Richmond, VA.
"Creating Impressionist Paintings is certainly a whole new world for me. Mark is an exceptional artist whose passion for beauty and excellence motivates, inspires and challenges." "The way Mark teaches builds confidence, skill and knowledge. 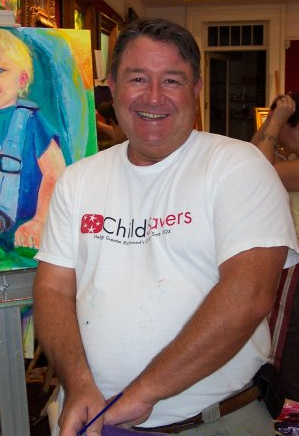 I really enjoy the relaxed atmosphere in Mark’s studio because we talk, laugh, and struggle together while we paint." "Painting makes me really happy!" — Lezlie Hierholzer, Teacher, Louisa, VA.
"It is a rare opportunity to take classes from a professional artist like Mark. Living in a remote farming and fishing village usually doesn't provide such luxuries. Mark is an excellent teacher with much patience. It is very exciting to see our finished paintings that are full of color and light. Impressionist painting is a new and exciting world for us....We all are enjoying it very much." 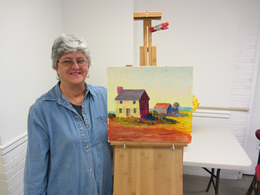 "I have been an acrylic painter for 35 years before I heard about Mark's Impressionist oil painting classes at the Mattie Art center in Swan Quarter ,N.C. These classes have opened my eyes and my mind to a whole new way of seeing the world. Mark is an excellent teacher because he has the patience to make each student feel comfortable and to literally see the world in a new "light". I felt as if my brain was actually growing during the learning process of painting a different way. Just come and try his method one time and you will want more! The fellowship with other painters leaves you with a glow of accomplishment. Three of us have been so excited with Impressionist painting that we meet once a month on our own to paint together at the Mattie Center."